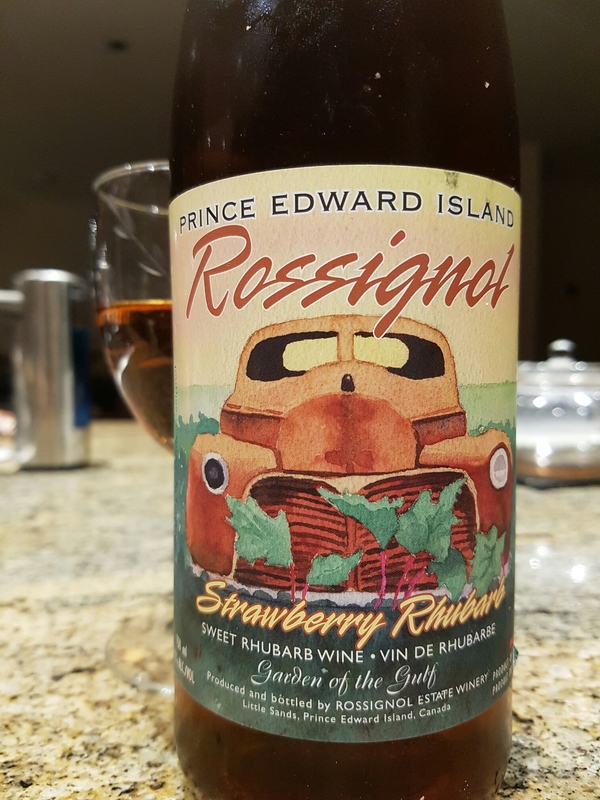 Strawberry Rhubarb Wine – Rossignol Estate Winery (PEI, Canada) | Justintoxicated. Visual: Non-vintage, cellared for 3 years. Pours clear golden marmalade orange with a few micro bubbles settled at the bottom of the glass. Summary: Super fruity, a bit cloying but lots of likeable strawberry-raspberry character with just a bit of spice and tartness. Very sippable, quite delicious.